Four beautiful apartments situated in the middle of an olive grove, tucked away on the edge of the village of Patara (also known as Gelemis). The apartments are bright and airy with contemporary interiors. Each apartment has a large open plan living area with fully fitted kitchen, modern bathroom with walk in shower (no bath) and either one or two bedrooms. All apartments have been accessorized throughout using local textiles and artwork. Bademili is Turkish for Almond. This group of beautiful apartments is situated near to Patara beach on the stunning southwestern turquoise coast of Turkey. Slightly off the beaten track is the way to go in Turkey and you are guaranteed a warm welcome by the lovely hosts here. Brand new website design and development. A simple website no client editing. 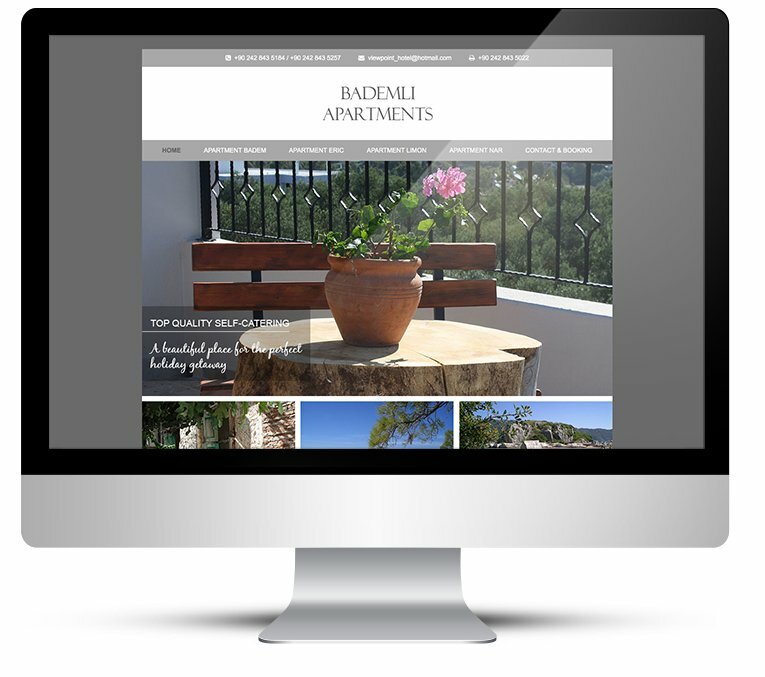 Large images show off the apartments well and the slider on the home page allows us to get a real feel for the property. I overlaid the slideshow with text with a semi-transparent background. I loved working with grey, such a beautiful colour. The pages contain quite a lot of text including pricing information, so I have used a slider that reveals the text when the visitor presses to view more. This way the visitor is not bombarded with text when the page first loads. Individual apartment pages show a selection of images in grid format and plenty of information. 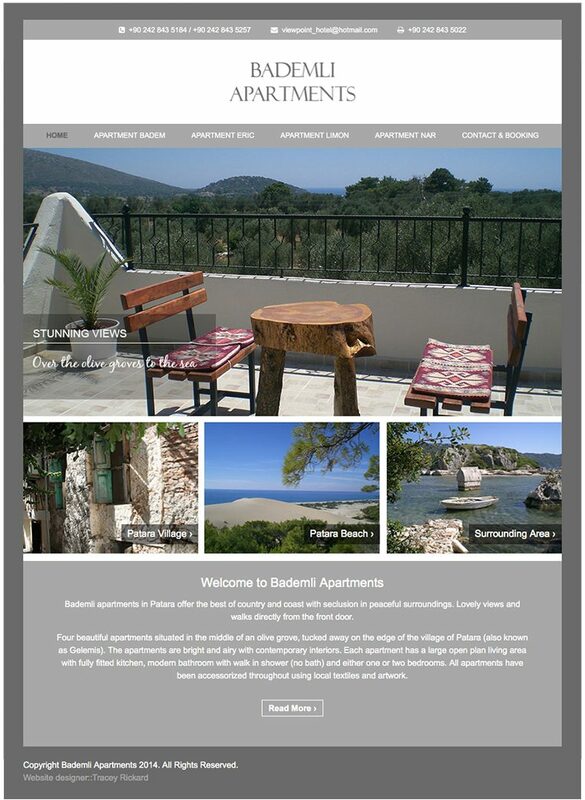 Thank you again for all of your hard work and for making such a lovely fresh, contemporary website which compliments each of the other websites we have. You are so talented and deserve all the success you are having with your business so far.